Karen Gillan (born 28 November 1987) is a Scottish actress, director, and screenwriter from Inverness, Scotland. 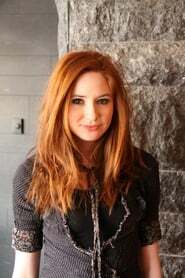 She played the role of Amy Pond, companion to the Eleventh Doctor, in the BBC One science fiction series Doctor Who (2010–2013). In film, she portrayed Nebula in the Marvel Cinematic Universe films Guardians of the Galaxy (2014) and Guardians of the Galaxy Vol. 2 (2017), Avengers: Infinity War (2018), and its untitled sequel (2019), and also played Ruby Roundhouse in the box-office hit Jumanji: Welcome to the Jungle (2017). In 2018, she released her first feature film as writer and director, titled The Party's Just Beginning. Description above from the Wikipedia article Karen Gillan, licensed under CC-BY-SA, full list of contributors on Wikipedia.